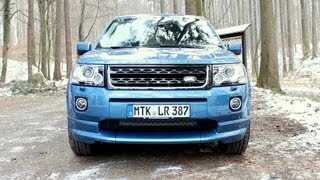 Land Rover has recently unveiled the Freelander 2 2013, the car maker's latest take on their famous crossover. The 2013 model promises to bring notable changes in technology and design, more comfort and a brand new engine variant. Under its hood the new model is offered with one of two diesel engines, a 2.2 liter unit that delivers either 147 hp in the TD4 or 187 hp in the 4WD SD4. In addition, an economical 2.2 liter 147 hp engine is available in the eD4 2WD variant. When equipped with Start/Stop technology and the 6-speed manual gearbox, the latter model delivers a fuel efficiency of 6.0 liters / 100 km while producing 158 grams of CO2 / km. Last but not least, the Si6 3.2 liter V6 petrol engine found on the ongoing model will be replaced by a Si4 2.0 liter 4-cylinder turbo unit that delivers 237 horsepower. This particular unit is the same that can be found on the Ford Mondeo Ecoboost, the SMax Ecoboost or the Land Rover Evoque. 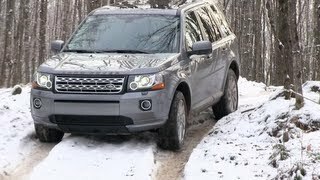 In terms of exterior design the Freelander 2 has undergone a generous number of notable changes and updates. The front and rear lamps have been enhanced by the latestXenon LED technology and both the front grille and the fog lamp bezels have received a new finish. The 2013 model sits on a new 17-inch set of wheels and in addition, three more colors have been added to the existing lineup, Havana, Mauritius Blue and Aintree Green. 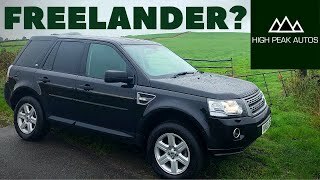 On the interior the changes brought to the Freelander 2 are more striking than on the exterior. The crossover now features a brand new, more modern center console that includes a 7-inch color touch-screen featuring enhanced audio from Meridian, satellite navigation as an option and reverse camera. The new instrument cluster has also been enriched by a five-inch screen that displays vehicle-related information and in terms of upholstery three new colors have been added: Ebony, Pimento and Ivory. Safety features include the new "intelligent" electric parking brake that is able to apply brake force according to how steep the road is beneath the vehicle. This electric parking brake is able to take the weather and road conditions into account and it also comes with an automatic "wake up" feature that periodically activates the system in order to ensure that the clamping force is set accordingly after the brakes have cooled down. 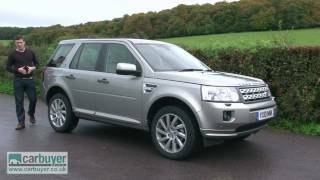 The Land Rover Freelander 2 2013 is available at the starting price of £22,700 in the UK. In case this particular crossover is not your cup of tea you might want to check out the Audi Q5 or the BMW X3.